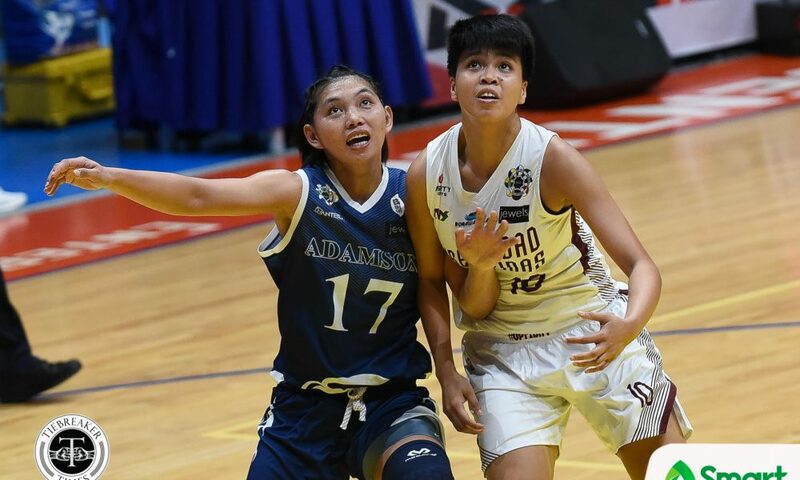 With the race towards the UAAP Season 81 Women’s Basketball Tournament post-season heating up, the Adamson University Lady Falcons took advantage of bottom-ranked team University of the Philippines Lady Maroons with a 69-43 victory at the FilOil Flying V Centre in San Juan City. 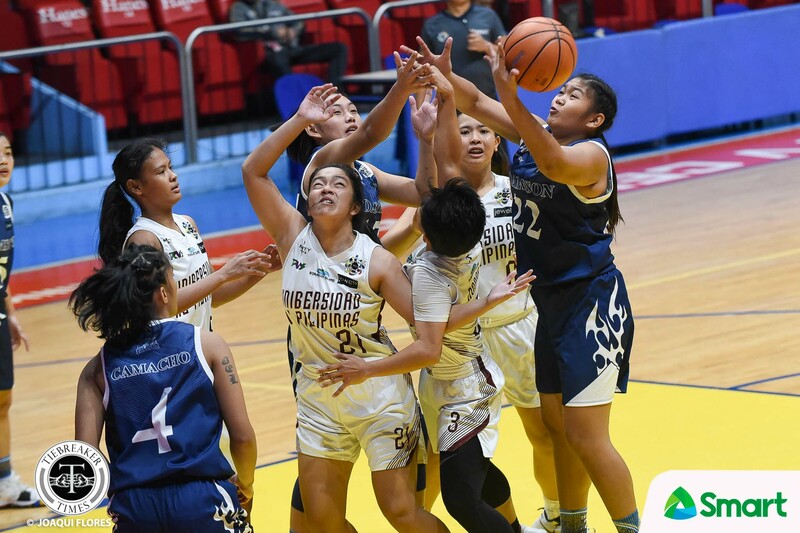 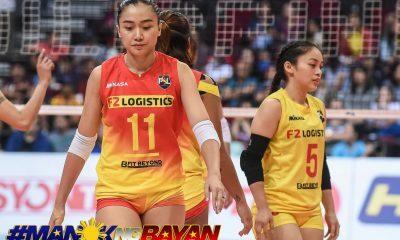 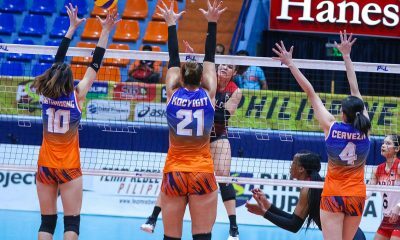 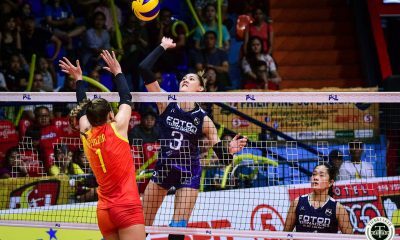 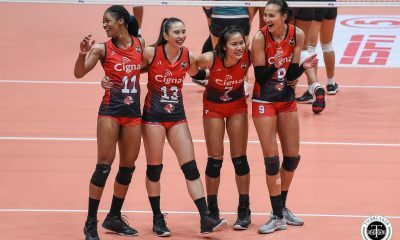 It was the perfect response from the Lady Falcons after their loss at the hands of the National University Lady Bulldogs early in the week, and the result brings up their record to 6-4 in the standings – good for fourth. 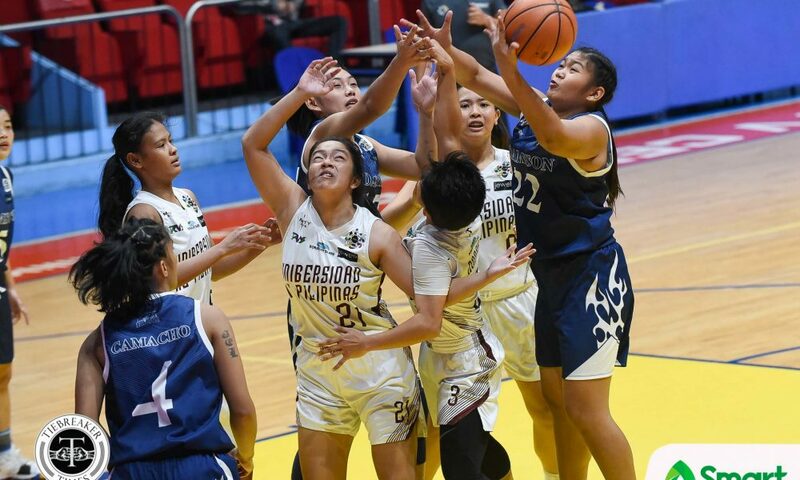 Despite their 26-point beatdown of the Lady Maroons, Adamson coach Ewon Arayi was not satisfied with how her players played. 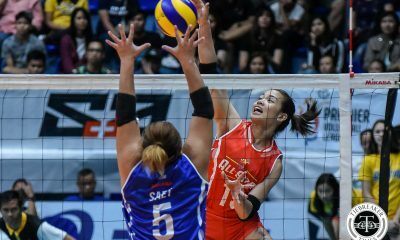 “Ang importante kasi doon is yung one-on-one defense at the same time yung sistema namin. 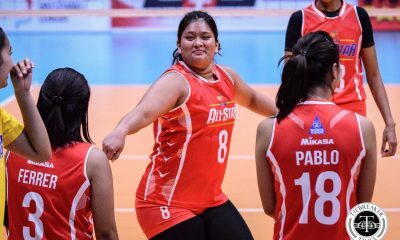 Nagtatawag ako ng mga play, nag-design ng mga play, medyo yun ang hindi nasusunod ng mga bata. 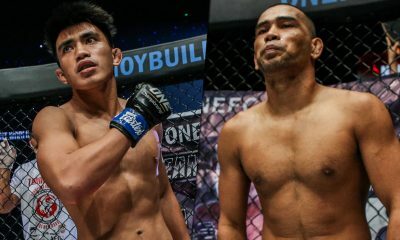 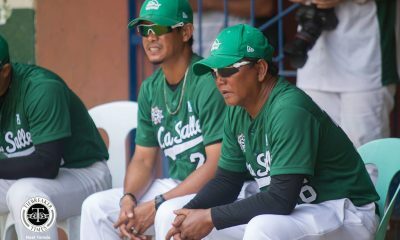 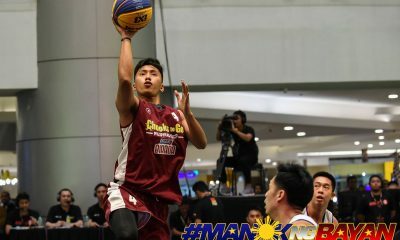 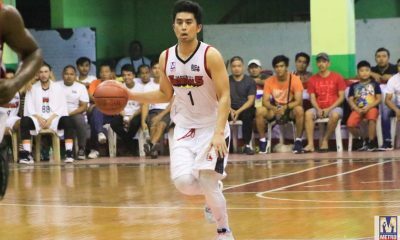 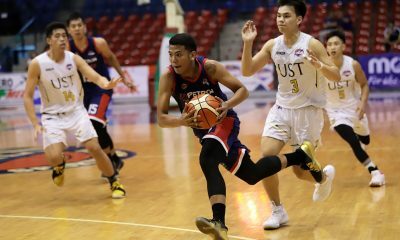 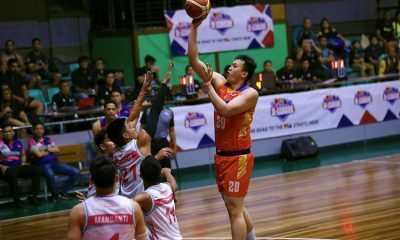 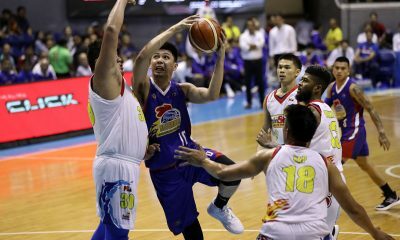 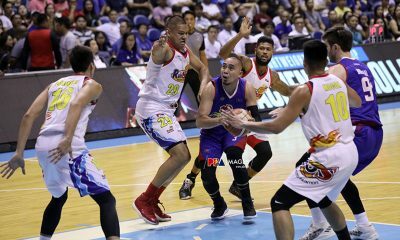 Minsan kasi ‘pag gigil umiskor, nakakalimutan (nila) na mayroon kaming play,” said the former national team star. 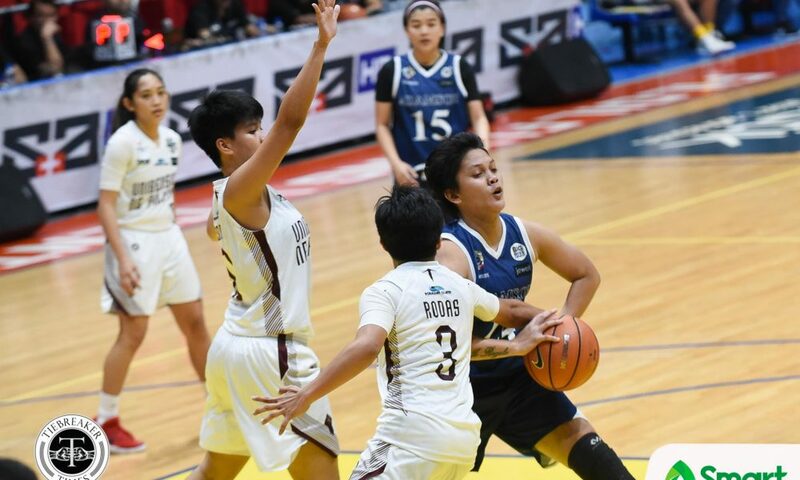 Mariz Cacho led all scorers with 24 points and seven rebounds, while Nathalie Prado had a good all-around game with nine markers, 11 boards, and five assists. 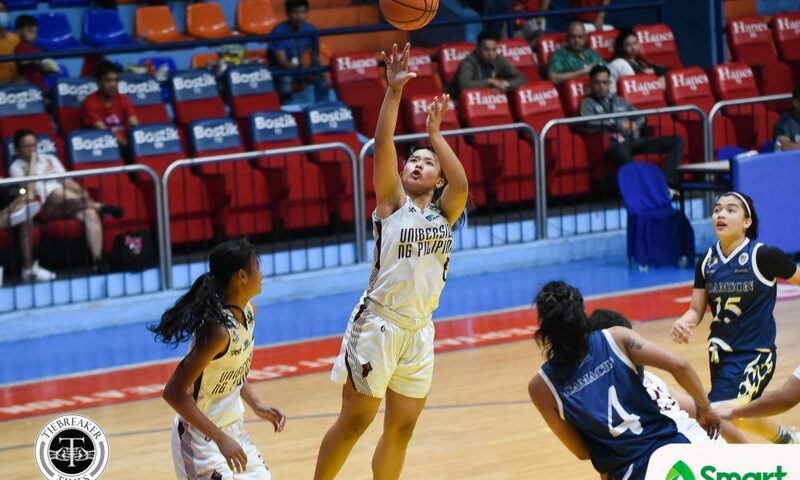 Jamie Alcoy also had nine points, while Nathalie Razalo came up with seven rebounds. 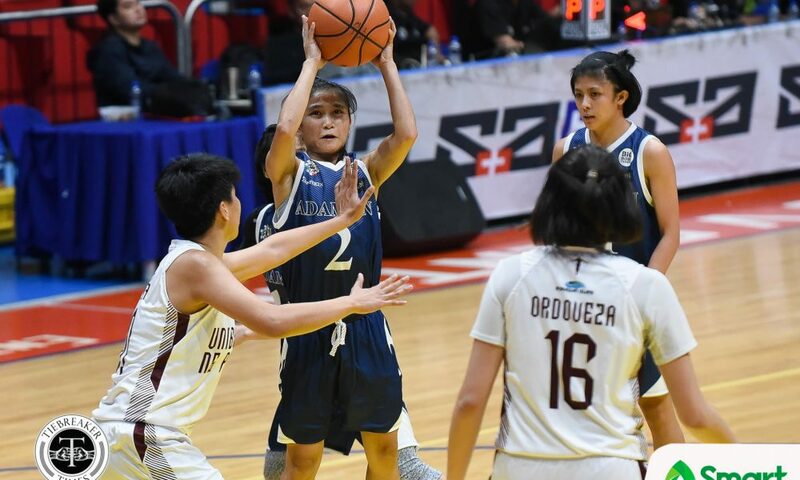 Adamson closed down any hope of a UP comeback as early as the first half when Jamie Alcoy sunk in a three with seconds left on the clock, to hand her squad an 18-point cushion at halftime. 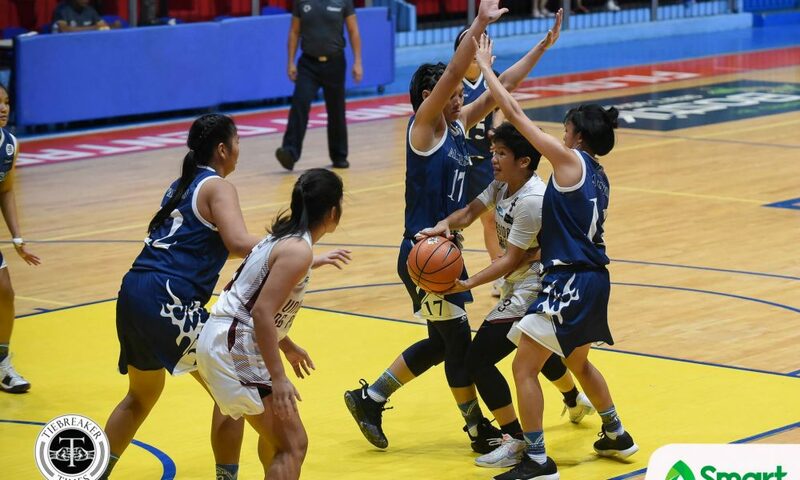 Arayi’s wards continued their rampage on the Lady Maroons upon the game’s resumption. 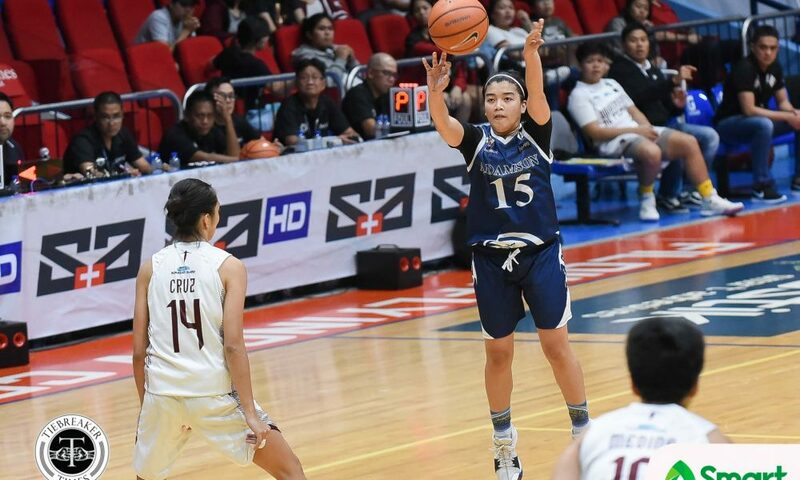 The Lady Falcons’ lead then went as high as 60-27 at the 7:20 mark of the fourth quarter, courtesy of Marife Aciro’s charity. 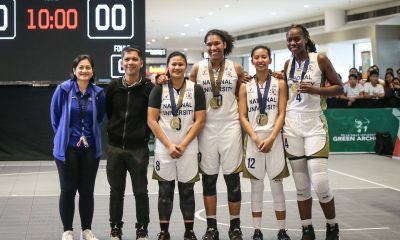 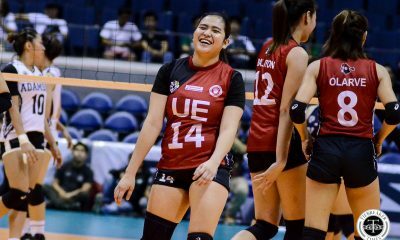 “Maganda pa rin na panalo as baon namin against UST, pero madami kaming tatrabahuin pag-uwi namin sa school namin,” added Arayi, who then praised her bench players for stepping up against the Lady Maroons. 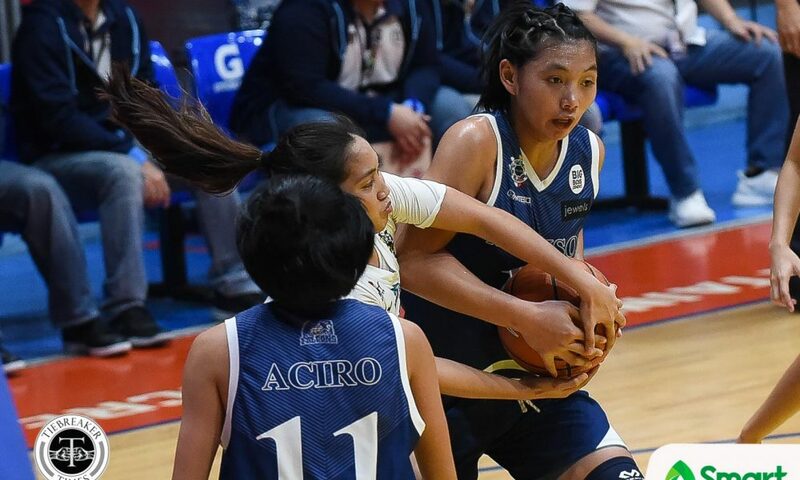 Adamson were simply a class above UP, as they ts produced 41 starter points and 28 bench points while the latter only came up with 27 and 16 respectively. 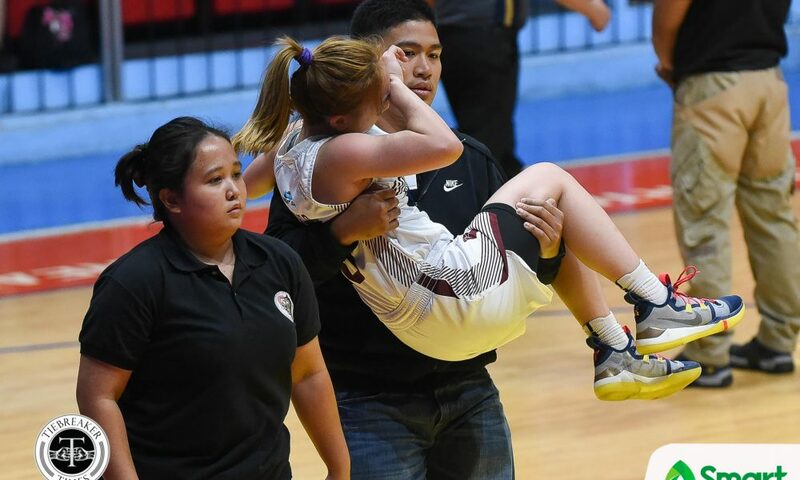 The result keeps UP winless this season, and it is also the Lady Maroons’ 28th consecutive defeat starting from Season 79. 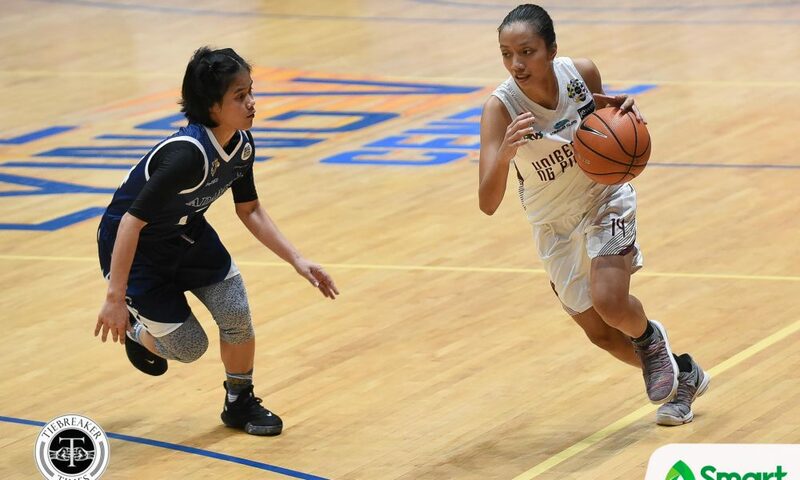 Carmelita Bascon paced State U with 10 points alongside five rebounds and three assists, followed by Patricia Rodas’ nine markers. 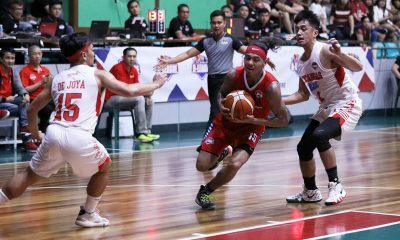 Lou Ordeveza produced eight points and six boards, while Therese Medina seized eight rebounds. 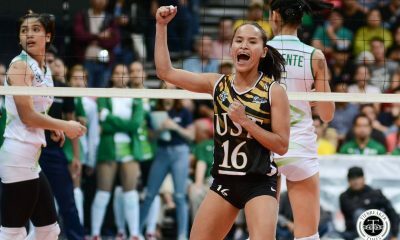 Adamson (6-4) will face the University of Santo Tomas Tigresses at 8:00 AM, while State U (0-10) play the De La Salle University Lady Archers afterwards at 10:00 AM. 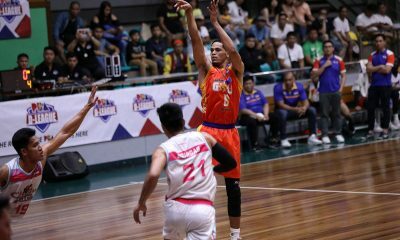 The Ynares Center in Antipolo City will host both games on November 3, 2018. 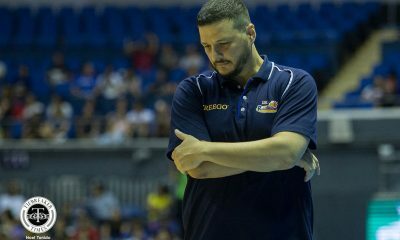 AdU (69) – Cacho 24, Prado 9, Alcoy 9, Araja 5, Tandaan 5, Bilbao 5, Camacho 4, Osano 3, Cabug 2, Razalo 2, Aciro 1. 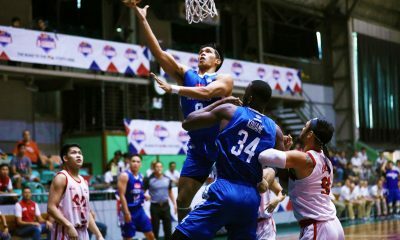 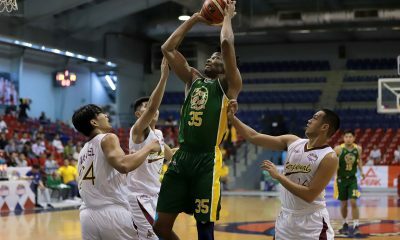 UP (43) – Bascon 10, Rodas 9, Ordoveza 8, Medina 6, Moa 5, Cruz 3, De Guzman 2, Larrossa 0, Gonzales 0, Ferrer 0, De Leon 0, Rivera 0, Hidalgo 0. 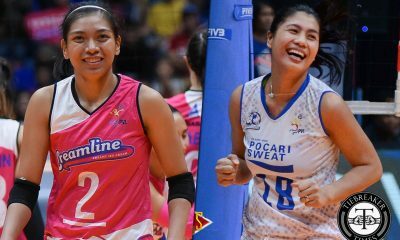 Quarterscores: 19-8, 35-17, 53-27, 69-43.